There are very few breeds of dog that don’t shed, and the Shih Tzu is one of them. They are the perfect dog for allergy sufferers, and even though I don’t suffer from allergies this is one of the things that attracted me to the breed, and subsequently made me get Indigo. Chihuahua’s on the other hand, like 95% of all dog breeds do shed, and this means maintenance. If you’ve ever owned a cat you will know what I’m talking about. Hair ends up everywhere. On your sofa, clothes, bed. It drives me crazy. It’s a constant battle to keep the shedding to a minimum, and this takes a bit of effort and a very patient dog. How I reduce Molly’s shedding is by doing two things, bathing her, and brushing her with a Furminator. I find that bathing her takes away some of the loose surface hair, and the Furminator provides impressive results. 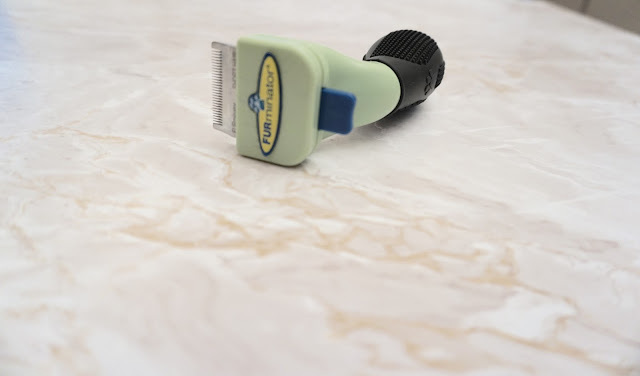 If you’ve not heard of it before it’s essentially a brush with a delicate clipper blade designed to gently remove the loose hairs from your pets undercoat. They come in a range of sizes from toy to giant, and two varieties depending on whether your pet has long or short hair. 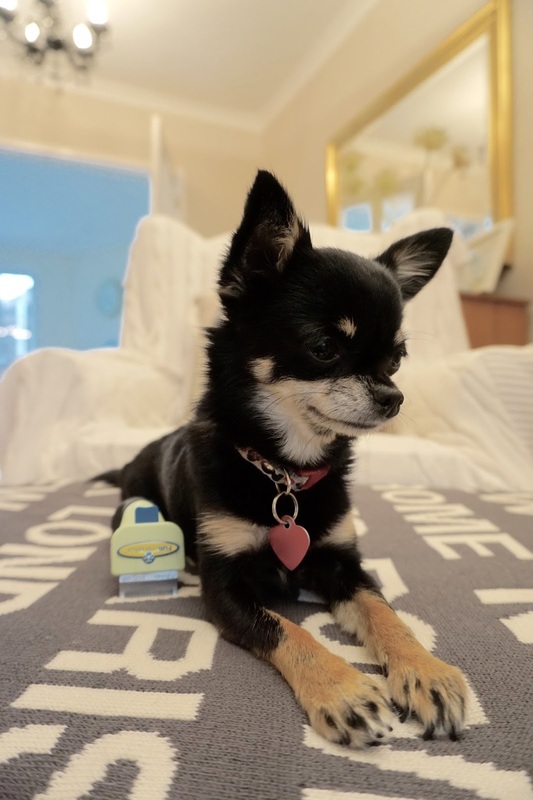 They’re not just for dogs, they also have ranges for cats, small animals and horses, so all bases are covered, ranging from around twenty to thirty pounds. Here’s what the people at Furminator have to say about their product ‘Love your pet but not the shedding? That’s why FURminator® deShedding Tools were invented. Shedding is natural and there’s no way to eliminate it. But, there is a better way than constantly vacuuming and scrubbing hair off your floor, furniture, clothing and car seats. FURminator deShedding Tools can help you reduce the amount of loose hair from shedding! That means less time spent cleaning and more time to spend with your pet. I find that using it once or twice a week tends to reduce shedding by 50%, and I can really tell the difference when I forget to use this for a couple of weeks. No other product or method has produced the same results, and the first time I used it I was convinced enough fur came out to make another dog! It’s great for cats too, if you feel like you’re fighting a losing battle with cat hair, and it could even help with hair balls. If you’d like to know more about the product head on over to their website for more information. I got mine online from Animed Direct.